The Survivor Benefit Plan was created to provide a continued source of income for survivors of military retirees. If a military retiree elects to buy into the Survivor Benefit Plan (SBP), his spouse or other eligible survivor will be eligible to receive 55% of the retiree’s retirement pay after the retiree passes away. This can provide ongoing income and stability for survivors, but it does come at a cost, as retirees must buy into the plan. In today’s article and podcast, we dive into the Survivor Benefit Plan details and discuss when it makes sense to buy into the SBP, and when veterans may be better off choosing to self-insure through an insurance policy or completely forgo either form of insurance. 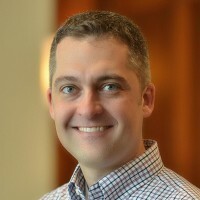 About our guest: Today’s podcast guest and resident expert is Forrest Baumhover, who is author of the book, Military In Transition’s Guide to the Survivor Benefit Plan, which is available at Amazon.com and other locations. Forrest is a current Navy Officer, who is planning his next career while finishing his last few years on active duty (side note: it’s always good to start planning your military exit now, even if you don’t know when you will leave – kudos to Forrest for starting his next career while still on active duty!). Buy Military In Transition’s Guide to the Survivor Benefit Plan on Amazon.com, on sale now. In addition to running his website, Forrest is a fee only financial advisor, which puts estate planning, life insurance, and similar topics right in his powerhouse. You can visit his financial planning site at Westchase Financial Planning. Let’s dive in to the podcast and the Survivor Benefit Plan. At its core, the Survivor Benefit Plan is a form of life insurance and annuity. Instead of paying out a lump sum to the beneficiary like most life insurance policies, it pays out a portion (55%) of the member’s retirement pay each month until the survivor either passes away, or is no longer eligible to receive the payments. It was designed to provide a basic level of support in the event the servicemember predeceases the surviving spouse. The SBP can have a huge impact on the quality of life for a surviving spouse, so it’s important to understand the cost, the payout, and other factors you should consider during the decision-making process. The cost to participate in the Survivor Benefit Plan is currently capped at 6.5% of your retirement pay, but depending on your family status, you might pay less. For simplicity, we’ll use 6.5% for the examples in this podcast and article. The payout to the beneficiary is 55% of the retirement pay. Keep in mind this only covers the base retirement pay, and does not factor in any VA disability compensation, concurrent receipt, or disability offsets that may impact the servicemember’s retirement pay while they are living. So the full amount of the Survivor Benefit Plan compensation received by the beneficiary will be taxable at the federal level. Potential state taxes may vary depending on state of residence. Example Cost & Payout: If you have $1,000 per month in retired pay, you’d pay $65 per month for SBP. When you die, your spouse would receive $550 per month. If you receive $2,000 in monthly retirement pay, your monthly cost would be $130 per month for SBP coverage, and the survivor would receive $1,100 per month upon your death. You can use the monthly cost of the SBP premiums to compare to the cost of a term life insurance plan at the same or lesser monthly premium and determine if the term life may be a better option. There is a provision in the SBP plan that allows for servicemembers to be fully paid on the policy once they have paid into the program for a certain amount of time. If you retire and continue to pay SBP premiums, after 360 months and you reach the age of 70, you are considered ‘paid up’ and there is no additional cost to you. You are covered for the rest of your life. You will not owe additional SBP premiums and your survivors will receive the full payout when you pass away. Be sure to read up on this provision, as it may affect your decision to buy into the SBP or purchase term life insurance instead (please listen to the podcast or see below for more on this topic). Retirees can only insure certain individuals for their retirement pay. These are typically limited to spouses, former spouses, children, or in the event a spouse or child isn’t eligible, someone with an insurable interest. The SBP will only pay out to children until they reach a certain age (usually age 18). So it is not in your benefit to elect to choose a child as the beneficiary in the belief they would be eligible to receive the SBP payments for the rest of their lives. Unfortunately, it doesn’t work that way. Natural Interest Person (NIP) – You can elect to cover an individual in whom you have a legitimate insurable interest. Examples might be a brother or sister, or a child who is beyond eligibility for child coverage. Annuity benefit is the same, however, the cost is 10% of your gross pay (instead of 6.5%). A retiree can only elect NIP coverage at retirement. Once you have decided the SBP is right for your situation, you should review DD Form 2656: Data for Payment of Retired Personnel. The DD 2656 offers brief instructions regarding election options and requirements. Please make the time to carefully review information about SBP Elections and Eligible Beneficiaries before finalizing your decision. Making changes after your initial election can be difficult or sometimes impossible. It may possible to enroll in the Survivor Benefit Plan after retirement, but it’s not always easy or guaranteed. Some service members elect not to participate in the SBP because they have no eligible beneficiaries when they retire from the military. This could later change if the retiree later marries or has a child. Retirees have one year from the date of initial eligibility of their survivor to declare them as a beneficiary (either one year from the date of the wedding or the birth or adoption of the child). This needs to be done in writing through DFAS. Important note: If you have eligible beneficiaries at the time of your retirement and elect not to have them covered, you will not be able to change that election in the future. You need to get this right the first time! It may be possible to change beneficiaries in limited circumstances. For example, some retired servicemembers become may divorce or remarry. Or they may have a child after retiring. It is essential to notify DFAS as soon as possible if you need to change a beneficiary. Be prepared to provide legal documents such as marriage certificates, divorce decrees, or birth certificates. You can change or update your SBP beneficiary designation by completing DD Form 2656-6, Survivor Benefit Plan Election Change Certificate (pdf). Is the Survivor Benefit Plan Right for Everyone? There are times when it makes sense to choose the Survivor Benefit Plan, and other times when it may make more sense to self-insure yourself with a term life insurance plan. Believe it or not, some younger retirees may find it is less expensive to buy a term life insurance policy than to purchase annuity insurance through the Survivor Benefit Plan. Let’s look at the pros and cons of the Survivor Benefit Plan and discuss some time when it may make sense to buy in, and when it may make more sense not to participate. The primary advantage of the Survivor Benefit Plan is the peace of mind that comes with a guaranteed monthly income. The SBP provides an ongoing monthly payment for the life of the surviving spouse (or until the child dependent reaches the age of majority*). There is added peace of mind because the annuity is adjusted for inflation with a Cost of Living Adjustment (COLA), like military retirement pay. *Note: In some cases, the SBP payments can be made to children with special needs beyond the age of 18. No Qualification Requirements: Another advantage of the Survivor Benefit Plan is not having to qualify for it, like one may have to do to purchase a life insurance policy. Retirees are eligible to choose the SBP upon retirement, regardless of their age, health, presence of disabilities, physical condition, life expectancy, and other factors. Most people need to qualify for a life insurance policy unless they convert their SGLI policy into a VGLI policy upon retirement. However, VGLI premiums can become very expensive with age. The SBP uses fixed rate premiums. They will increase as COLA increases retirement pay, but they remain a fixed percentage, usually 6.5% of the monthly retirement pay. Disadvantages: There aren’t many disadvantages to the Survivor Benefit Plan. However, the primary disadvantage for some retirees is cost. 6.5% doesn’t sound like a lot of money for the coverage it provides, but some retirees may find they can save money by purchasing a term life insurance policy with a large payout. There are differences in how term life and the SBP pay their policies, however. Term life insurance generally provides a lump sum of money and the Survivor Benefit Plan provides and ongoing monthly payment. So a term life beneficiary would need to be able to manage money well to be able to realize the benefits of the potential monthly cost savings, and potentially larger payout. You are male and your spouse has a longer life-expectancy, or there is a large age gap between the retiree and the recipient. You’re uninsurable or you have a medical rating that would raise your life insurance premiums. You have a special needs child(ren). SBP Benefits can be paid to an incapacitated child over the age of 18 under certain circumstances. You have a longer life expectancy than your spouse and have no other dependents who could qualify for the benefit. You are young, insurable, and healthy and can qualify for an inexpensive term-life insurance policy. You are financially independent and have accumulated the necessary assets to support your retirement needs independent of the funds that would come from SBP. Some mil-to-mil retired couples may find they don’t need to take out SBP policies on their retirement pay because they each have a respectable pension they can use to fund their retirement. Life insurance may be a more affordable option for some military retirees, particularly those who are younger and in good health. There are several primary differences between buying a term life insurance policy and opting into the Survivor Benefit Plan. The first is the cost: Term life has a fixed premium payment over the entire term of the policy. The SBP has a fixed rate (normally 6.5%). The term life payment will remain static over time, while the SBP rate will likely increase as the COLA adjustments increase the retiree’s military retirement pay. The second difference is the payout method: Life insurance typically pays a lump sum, while the SBP makes a monthly payment. One may find that the term life insurance policy has a higher expected payout at a lower monthly cost than the SBP. The third difference is the term: Term life insurance is only good for a certain amount of time. For example, one may decide to buy a 30-year term life insurance policy. After the policy ends, there is no more life insurance*. So it is up to the retiree to reach some sort of financial independence where life insurance of any sort is no longer needed. The Survivor Benefit Plan will continue paying out to the surviving spouse until his or her death. Compare Life Insurance and the SBP: Forrest has an article that does a deep dive into comparing these two plans: Term Life Insurance Vs. Survivor Benefit Plan: A Side By Side Comparison. *There are many types of life insurance. Comparing the differences is outside the scope of this article. However, we generally recommend term life insurance for the simplicity and lower cost of the policies compared to other types of life insurance (see more on term vs whole life). When comparing other types of life insurance to the Survivor Benefit Plan, the SBP generally comes out ahead in the monthly cost, simplicity, and the peace of mind that comes from the lifetime annuity payments. Health factors, especially those who have a known health conditions, a low family life expectancy, or a high risk from other factors. These topics are obviously specific to the person considering buying into the Survivor Benefit Plan. But in general, people are living longer now than in previous decades. And in general, women live longer than men. The factors should play an important role in your decision. You can visit the DoD Office of the Actuary website, which annually publishes a calculator that helps you analyze your specific information and compare life insurance and the Survivor Benefit Plan. In the podcast, Forrest discusses two very difference situations with the Survivor Benefit Plan, one in which the member decided against the SBP and instead purchases a term life insurance policy, and one in which the retiree chose the SBP. Why you would choose term life insurance over the SBP: In this example, Forrest uses his own situation. He was able to save a substantial amount of money each month by purchasing a large term life insurance policy. This would give him enough time to establish his post-military career and continue working toward financial freedom. Should he unexpectedly die young, the term life insurance policy would be enough to provide for his wife and children. If he reaches the end of the term life policy and is still living, he should be financially set and not need the insurance policy. Let’s hope this works exactly as planned! For more on this situation, please check out Forrest’s article on his site: Why You Should Strongly Consider Not Participating in the Survivor Benefit Plan. 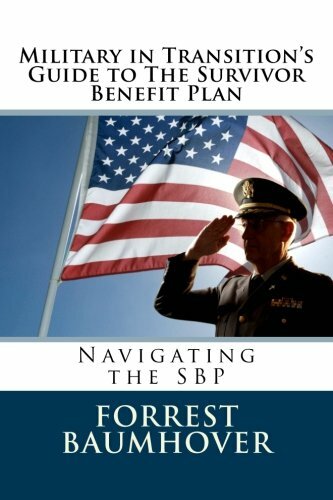 Why you would choose term life insurance over the SBP: Forrest gave another example of his grandfather, who chose the SBP. He had a longer military career and retired at an older age than that at which Forrest will retire. He also didn’t go on to have a second career after leaving the military. Unfortunately, he passed away well before his spouse. But because they had no debt or other large financial needs, Forrest’s grandmother was able to live well on the Survivor Benefit Plan payments and social security benefits. Forrest gives more details on the situation, and the story is worth listening to if you have the time. Should You Buy into the Survivor Benefit Plan? If you’ve read this far, you’ve probably come to the same realization that I have: there is no one-size-fits-all answer to the Survivor Benefit Plan. For many people, the answer is clear cut – the SBP is the best deal going, and they should absolutely buy in. There are others who are in a similar position as Forrest, where a large term life policy might be a more prudent option. Others will certainly find themselves in the middle. This Survivor Benefit Plan checklist can help you find more information. My recommendation is to buy Forrest’s book. It costs about the same as a large coffee and can help you make a decision that will have a major impact on your life – and that of your survivors. This isn’t a situation to take lightly, so it’s a good idea to seek out as much information as possible before making the decision. Office of the Actuary: The Defense Department’s online resource, based upon actuarial data. This allows retirees to make ‘apples-to-apples’ comparison for SBP vs. term life insurance. Active Duty Military Survivor’s Benefits. (this is different from the Survivor Benefit Plan discussed in this article; this reference is for those who are on active duty and are looking for additional information on this topic). My first husband was KIA in Viet Nam in 1969. I collected DIC until I married another military member. I was told at that time that if the second marriage ended that I could resume collecting DIC after death or divorce. The law concerning SBP has changed several times during the last 45 years. At one time SBP as offset by Social Security. When that rule was changed it cost over $35K to buy into SBP. Later they said that a widow who remarried after age 55 could resume receiving DIC. My current husband, a C-135 pilot, receives a partial VA disability because he suffers from numerous effects of Agent Orange. We have not bought into SBP. What is my status if he should predecease me? Hello Laurie, I don’t have access to the laws as they were formerly written, and I’m not sure if they would apply to you now that your situation has changed. My belief is that you would only be covered under the current Survivor Benefit Plan laws. As you haven’t bought into the SBP, I can’t say if you would be eligible for any benefits under this program should your husband predecease you. There may be other benefits such as Social Security Survivors Benefits or life insurance if you have a policy. The Survivor Benefit Plan has previously offered open seasons, in which members who were not participating in the plan were able to buy into it. However, there is no way to know if they will offer this again, and if so, when it would be. In addition, members would need to pay the full amount of the premiums they would have paid had they been participating in the plan the entire time they were eligible. So this can be a very expensive proposition. At this point, I don’t have a lot of firm answers for you. Your best course of action may be to find a consultant who specializes in these programs to help you better understand your options. I don’t have any contacts in this space, so I would recommend speaking with a veterans benefits counselor at a service organization such as the DAV, AMVETS, or a similar organization. They should be able to help you or point you toward someone who can. I am from SC a veteran and my ex is a veteran as well. We divorced in the 90’s he was order to pay child support and I was to receive 50% of his retirement. He was also order to keep up SBP (insurance survivor benefits). Well he stopped paying child support almost with a year or two while the children were young in and in school. I basically used the money I received as alimony for child support because I couldn’t financially take him back to court for this. My children are in their 30’s and my question now is ….How can I even find out if he kept up the insurance since he stopped the child support and Tricare insurance on the children. Can I contact the military….what happens if he dies and the money that I had been receiving stops????? I’m sorry to hear about this situation. I’m not sure the answers to these questions. My recommendation would be to contact the Defense Finance and Accounting Service (DFAS), which handles military pay. They may be able to provide this information to you if you provide them with a copy of the court order. If not, they should be able to advise you on what to do next. For example, they may require you to work with an attorney or provide some other evidence (again, I don’t have professional legal training, so I don’t know the answer). But this should get you pointed in the right direction.